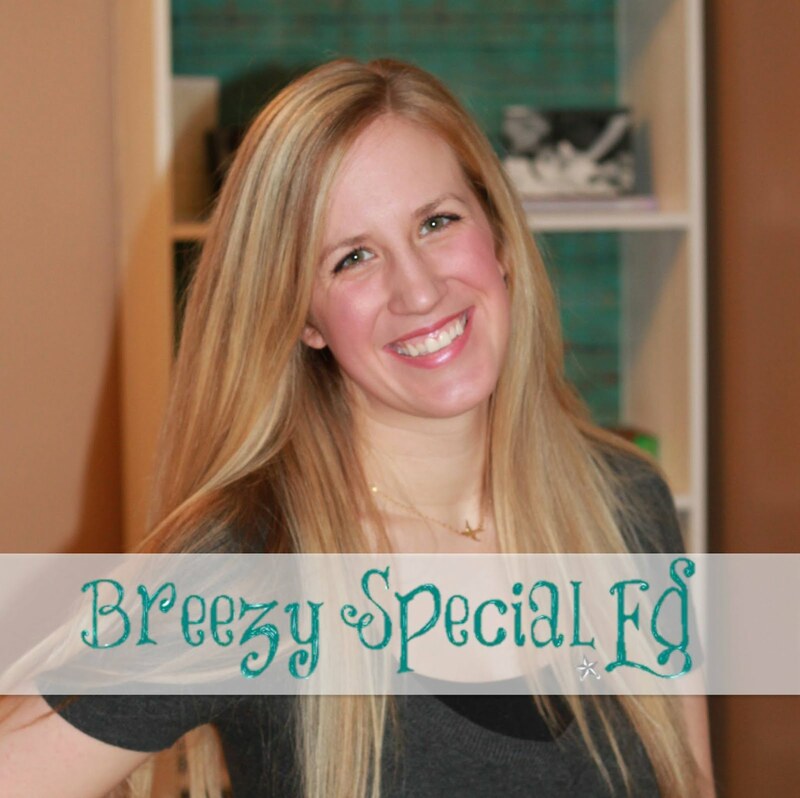 I have been loving teaching the Fine Arts class in our program this year! We have two days of music, two days of art, and one day of a sensory activity. 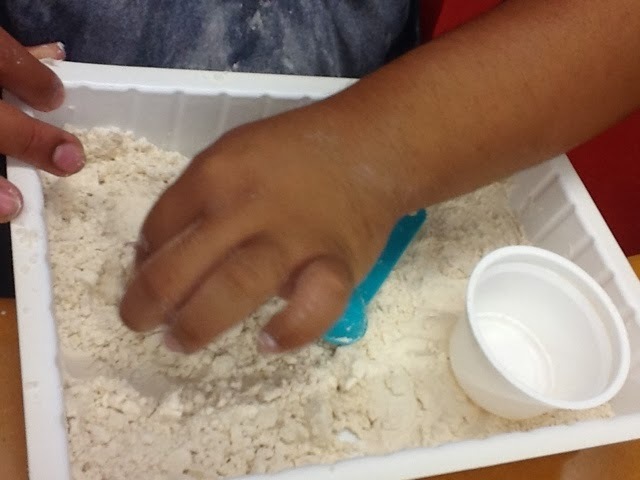 For one of our sensory activities, we made "cloud dough" or "mood sand." I found quite a few different recipes online, and don't remember which one I used. Pretty much, cloud dough is 1 part flour and 1/8 part of baby oil. Mix together and you're ready to play! While making our cloud dough, I had my students work on finding the biggest cup (1 cup) and the smallest cup (1/8). Each student made their own batch. I created these visual instructions for each student - download here. 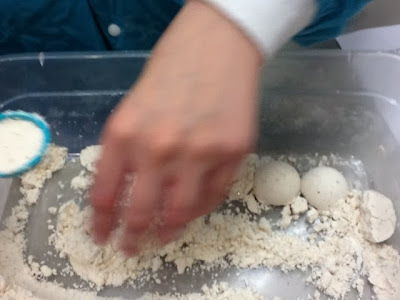 A quick funny story - when it came time to mix the dough with their hands, one of my students said, "But I can't, my mom always tells me to mix with a spoon." Um, okay, I guess I can't argue with that. Now we have cloud dough in our classroom. Super fun.